Mac’s AAA midget hockey is back! Started back in 1978 the tradition goes on starting Dec. 26. It’s Canadian holiday tradition for most hockey fans to huddle around the TV, during Boxing Day, for the International Ice Hockey Federation (IIHF) World Junior Championship hockey. This year, start a new hockey habit and fill a seat or volunteer at the Mac’s Midget AAA World Invitational Tournament on Dec. 26 to Jan. 1. “Many volunteers and staff members [for the tournament], are fellow classmates, coming from Mount Royal University, the Southern Alberta Institute of Technology and the University of Calgary,” says tournament media director, Maria Corcione. Local support for the event is clear. The tournament draws an average 100,000 fans, over the seven days. Yet, Corcione says the competition often gets undervalued by the city’s hockey fans. The Mac’s Midget AAA Invitational is a prestigious ice hockey tournament. It first started in 1978 and has run in Calgary ever since. The event brings together 25 male and 15 female teams from Canada, the United States and even Europe. It features some of the world’s most promising female and male players, ages 17 and under. If you take a trip down to the Max Bell Centre, in Calgary, you’ll see photos of midget tournament players who made it to the big leagues. Former Dartmouth Subway player, Sidney Crosby, can be found on the Wall of Fame. Others include Patrick Eaves, Joffery Lupul and Drew Stafford. Current tournament teams can only imagine making it pro, as division finalists get to skate on the same ice as some of their major league idols. “The championship [tournament final] is played at the Scotiabank Saddledome. It’s a very special moment for the players of the tournament. I mean who wouldn’t want to play on that ice,” says Corcione. Volunteers also flock to the event in hopes of seeing the next NHL all-star. Each year, over 100 people lend a hand for the tournament. “My favourite part about the tournament is it’s so volunteer driven. These volunteers are the root of the tournament. Without them, it wouldn’t go on,” says Corcione. New features have been added to the event, this year, to better engage volunteers, fans and players. “As part of our new social media strategy, we are excited to introduce the tournament Instagram, @macstournament. Throughout the tournament we will be encouraging fans to follow our page, post pictures and use our hashtag. Those who use our hashtag will be entered into a draw to win fun prizes including tickets to the tournament games,” says Corcione. 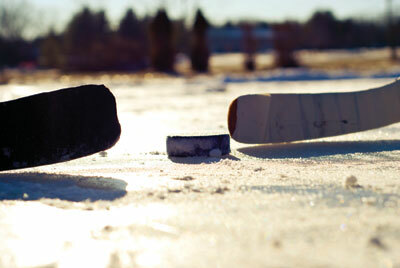 Create new holiday memories online and in person with the midget hockey community. Tournament tickets run from $10 a day, to $45 for a tournament pass. For information on the event or how you can become a volunteer, visit macstournament.ab.ca.